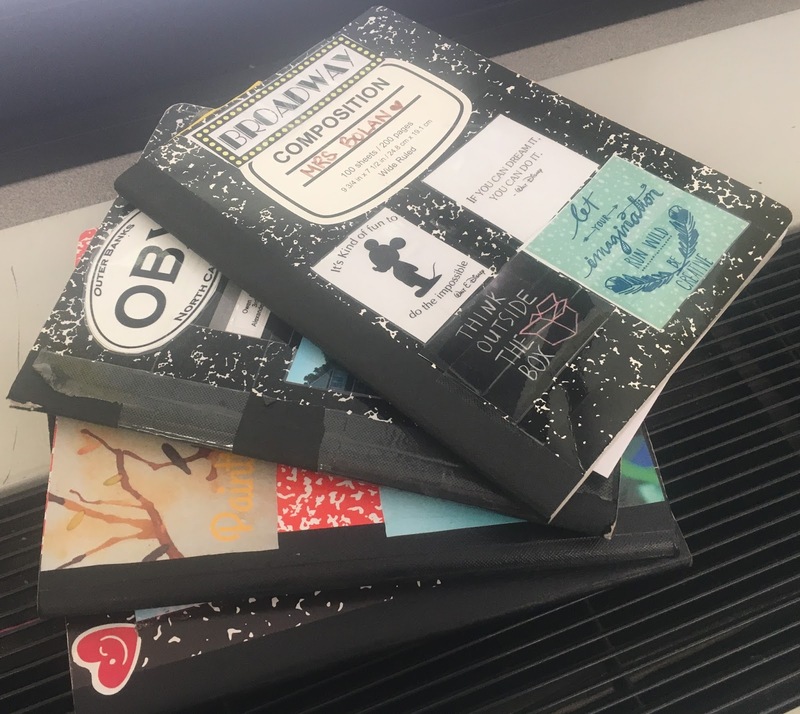 Writers notebooks have been a part of my writing teaching in every classroom, at every grade I’ve taught. However, my eyes were completely opened when Amy came to do an author visit at our school. 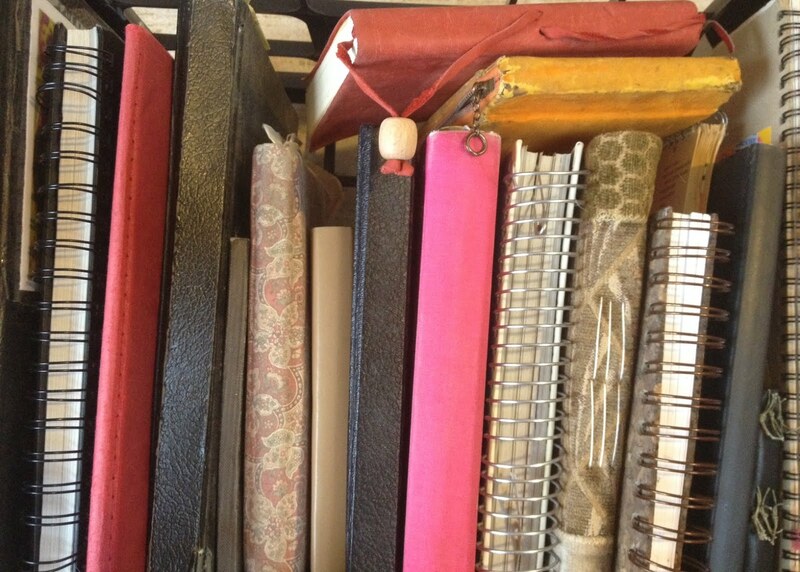 She showed her many notebooks and modeled the type of writing that these writers notebooks should really be meant for. And so began the work of shifting my mindset about not only how I taught using the notebook, but also how I used it myself. Our fiction unit flowed beautifully. 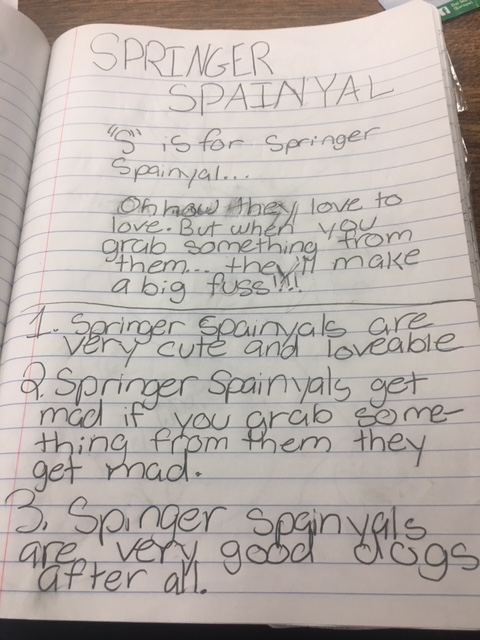 Students used their notebooks as a place to imagine, dream, try out new things, play with words. We had an ongoing, seemingly endless list of ideas for fiction notebook entries. It was a beautiful thing. Once we began our nonfiction unit, that flow of ideas for notebooking stopped. Even I had a hard time coming up with ideas for my notebook. We searched for resources and ideas on the internet, but nothing was better than when we finally sat as a class “think tank” and made a list of our own ideas! 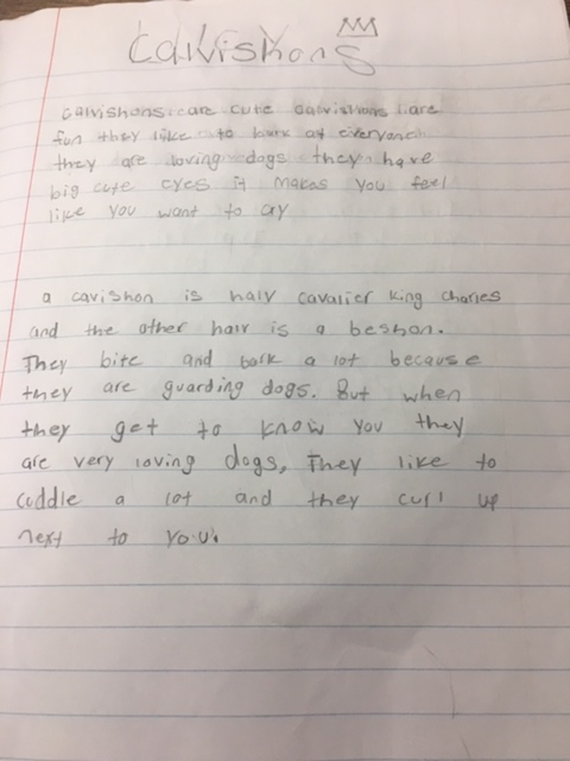 Write about something that interests you and you think others will like to learn! Write about someone or something that inspires you! Write a poem about something you know a lot about, then write long! 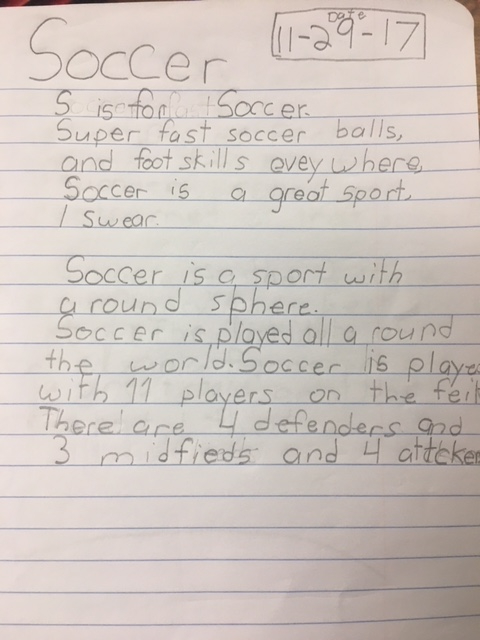 Look what happened when we tried out this writing strategy...Write a poem about something you know a lot about, then write long! 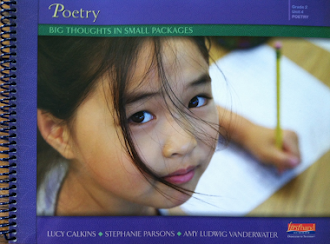 This was an amazing experience in mixing poetry with nonfiction. Try it! 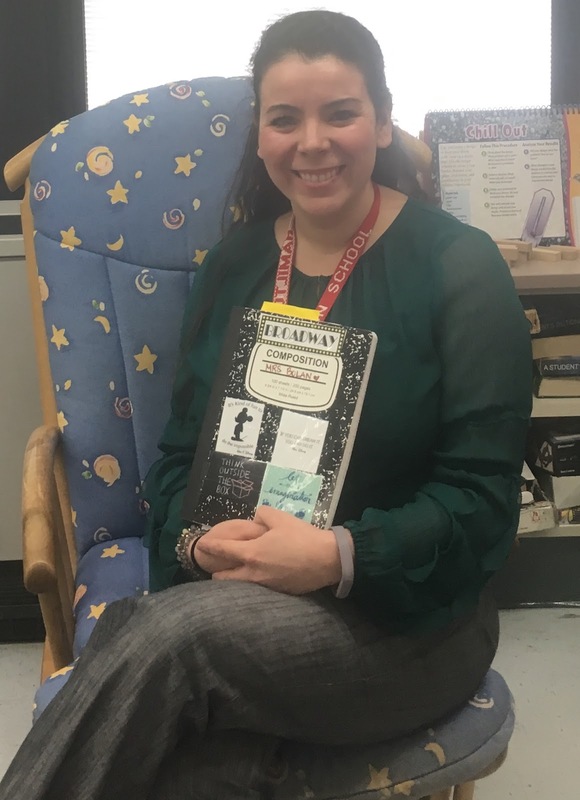 Dina Bolan is a third grade teacher at Alexander Hamilton Elementary School in Glen Rock, New Jersey. Dina attended Teachers College, Columbia University where her love for reading and writing bloomed. She enjoys learning from other teachers and teacher leaders about ways to grow passionate writers! You can connect with Dina on Twitter @mrsbolansclass. With gratitude to Dina Bolan and her students for sharing here, I will send a beautiful mystery notebook to a commenter on today's post. Please comment by Thursday, February 8 at midnight to be included in the drawing...and please remember to leave a way to contact you should you win. I was so excited and inspired by this post! I will be starting a nonfiction writing unit with my third graders next week! And to top it off, we just completed a poetry unit. I can't wait to get back to school and begin! 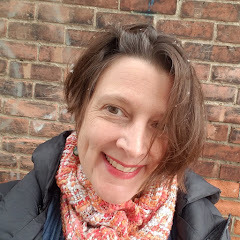 I got chills when I read the idea "take someone on a tour of a place you know well" -- a great nonfiction idea but I'm going to steal it for poetry! Hi Dina (and Amy)! I laughed a bit when I read this post. 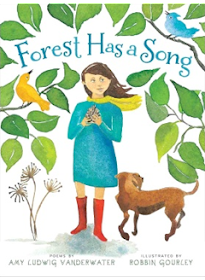 I was lucky enough to attend a PD provided by Amy back in the fall and loved all of the writing activites that we did but I struggled when we were drawing a map and writing about a special place. That type of writing and it made me uncomfortable! I realize that children would also struggle with this type of writing. I LOVE the think tank and giving writers an inspirational list. I have been putting off nonfiction notebooking because it just doesn't excite me. But you have shown that it can be exciting and fun. Thanks! Awesome ideas and notebooks. Thank you for sharing. Thank you for this inspiration! 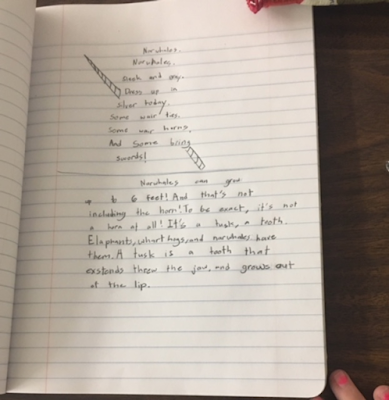 I have been using notebooks but I love how you have used it with nonfiction. I just recently found your blog and am thrilled! What a great post! 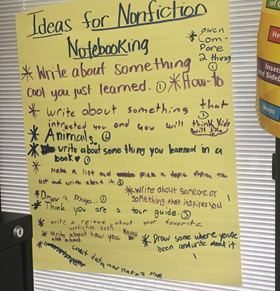 I think you are very right that nonfiction entries are not typically what we ask students to fill in their writing notebooks, but I love these ideas.